We all love to fill up our iPods with all kinds of data, but what happens when all your storage is full? That’s right, it’s time to delete all those long podcasts that you haven’t been listening to. 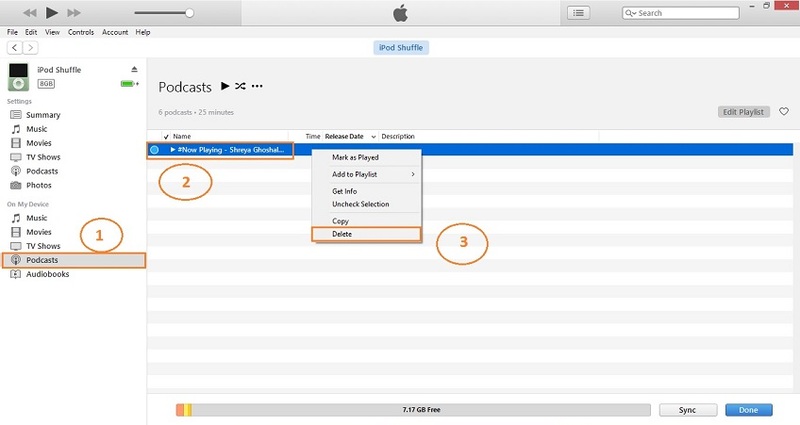 Now, did you know that some ways to delete podcasts from iPod are better than others? That’s right, there are ways of deleting that let you more easily manage your podcasts and even delete them in bulk if you need to. The best and free way to delete podcasts from iPod is with iMyFone TunesMate iOS Manager. It is an all-in-one iPod/iPhone manager which allows you to add, delete and back up files, and podcasts are included. It is totally free to delete podcasts from iPod on TunesMate. 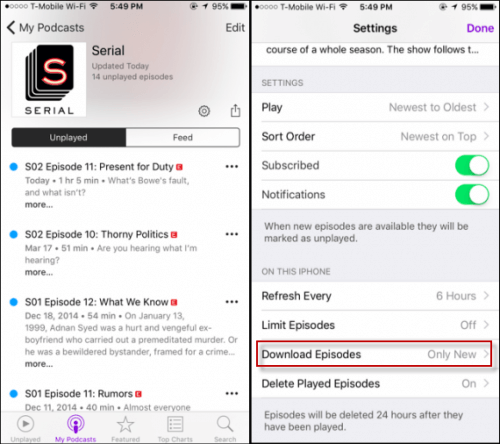 You can delete one at a time, or select some specific podcasts to delete in bulk. Media supported: podcasts, audiobooks, music, movies, playlists, photos, home video, etc. Sync iTunes library to iPod/iPhone without data loss. Back up iPod/iPhone files to computer/iTunes/flash drive and restore without data loss. Extract files from iPod/iPhone, including the purchased and non-purchased files. Reported by well-known media around the world: Geekreply, tricksworldzz.com, getintopc.com, etc. Step 1: Install and Launch iMyFone TunesMate on your computer. Connect your iPod with a cable. Step 2: When TunesMate detects your iPod, click on the “Videos” tab up on the top, then click on “Podcasts” on the left sidebar. Step 3: Select all of the podcasts that you want to delete and then click “Delete” near the top, then confirm by clicking on "Yes." You can manage a bunch of podcasts at the same time. You can delete them all in bulk if you want. You can easily scroll through them and find what you’re looking for on your larger computer screen. You don’t have to handle the restrictions of iTunes or its long loading times. Step 1: Plug in your iPod and launch iTunes. Step 2: Click on the little icon that indicates your device in the top left. Step 3: Click “Summary” if it doesn’t automatically take you to the summary page for your device. 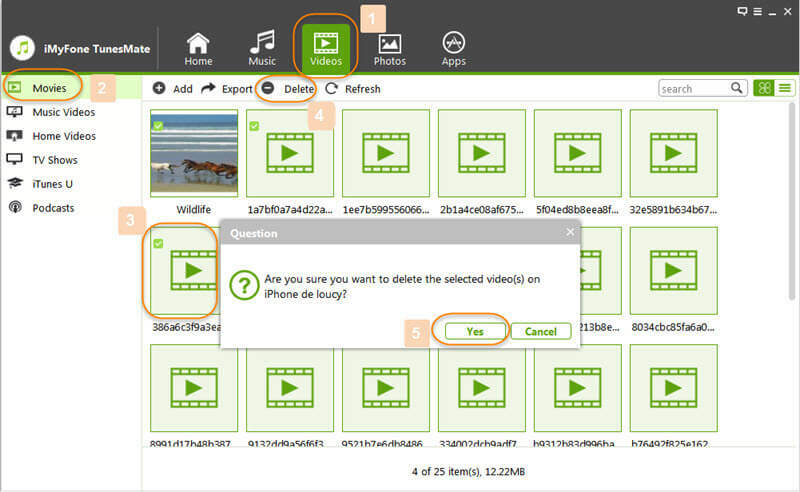 Step 4: Tick the box next to “Manually Manage Music and Videos”. While this method works okay, there are a few limitations to it. For one, it’s harder to select many podcasts at once to delete. It also requires you to use iTunes, which is clunky and takes a long time to load. Using TunesMate is just easier, and you can manage all sorts of other media through TunesMate, so you may as well just use this tool instead of iTunes. This way is just for iPod touch. You can delete podcasts from iPod touch directly. Step 1: Open up the Podcast app on your iPod. Step 2: Tap on the “My Podcasts” icon at the bottom. Step 3: Go to the podcasts series you want to delete podcasts from. Step 4: Find the podcasts you want to delete and slide it to the left. A red “Delete” button will appear. Step 5: Tap the “Delete” button to make it. While this is simple enough, a certain limitation is that it’s hard to delete large amounts of podcasts at the same time. Also, it’s not as easy to manage and view them all compared to the TunesMate method. Go down to where you see “Podcasts”. 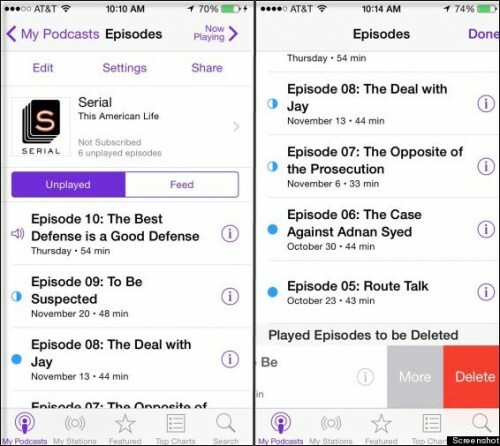 Select “Podcasts” and go to where it says “Download Episodes”. Select “off” setting. Besides, you can also turn on the “Delete Played Episodes” to free up space. That’s all you have to do! If you need to delete a bunch of podcasts on iPod and you want to do it quickly and easily, download TunesMate and give it a try.